If you are looking for an RV toilet, you will find a variety of the best ones in this post and high profile RV toilets that can be bought in the market today. The fine products have a wide scale of awesome features that will be efficient and powerful enough for your RV. The portable toilet reviews you will find here could help you choose the best option you can ﻿﻿﻿﻿﻿use for your RV, boat, or in that little corner of yours so you don’t have to wait long when you need to go. This product works according to how it sounds and made for using in campers and vehicles meant for recreation. They normally use a small amount of water for every flushing and contain the waste in a holding tank inside the unit. The tank generates black water and would have to be emptied or hooked to an available sewage system. Although, the experience of utilizing this is like a standard toilet, which is used by a lot of people. It does not matter if you want to go around the world, but refuse to leave your home or if you will be in situations where you need to use the toilet. There are plenty of moving homes to choose from like an RV, which is your best option. You can find a lot of moving homes like RVs,﻿ ﻿﻿trail﻿ers﻿﻿, camper vans, and others. If you are on the road for a few days, you would want things that give comfort to your life. A sleeping arrangement, cooking equipment, kitchen, living quarters and the most crucial of all is a good toilet are main concerns in a motor home. When you are on the road for a long t﻿﻿im﻿﻿e, you might not always find a clean bathroom. Aside from that, you might not be someone who can use a bathroom anywhere. In RV toilets, hygiene is very important. You would want something that does not have any leak, flushes properly, and does not spread bacteria. Since an RV is part of an enclosed limited space, there can be infections that could spread among the occupants. On top of it all, think about having to be in a small space that smells unpleasant. This only means you need to consider hygiene. 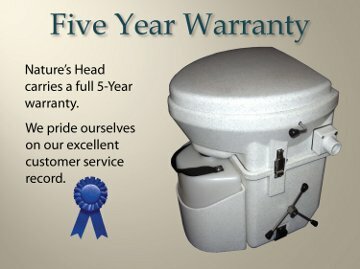 The small things that you need to consider when buying an RV toilet. As previously mentioned, hygiene is a crucial factor when purchasing a toilet. This was the main thing in the scoring system as well. The features that are sure about the right coverage from leaks and smells have a big role when toilets are considered for the list. You must pay attention to those details. It should be easy to install, especially if at midway, you need a toilet that is experiencing trouble. You also need to consider its size if it won’t give you a hard time installing it in your RV. The type of flushing system it has and so on. The last feature that was considered was the price. Features are 5.3 gallons with a holding tank that is detachable and the sealing slide valve can be locked in odors and gives protection against leakage. The slide latches and secures the tank on the toilet and the flush is bellow-type with a sturdy construction. This measures 16.38” Height by 13.75” Width by 16.13” Diameter. You need to note that the total width of the seat is about 13 inches and the dimensions are 8.5” Width by 9” Diameter. The warranty of the product is good for 1 year and there is a 30-day warranty for the labor. The toilet does not any water to operate so if you are dry camping, you can have a longer stay without needing to fill the fresh water tank or you can find a dump site for the sewage. I love the flush because it really helps in reducing the odors inside the trailer. You have to make sure that you know that the valve is on the right side because there is a need for plumbing extension which was only a minimal concern. You have to make sure to create a thread towards the connection to the hose. The design is sleek, very modern, and homelike and the seat height is very comfortable, with increased bowl size and a toilet paper holder that is integrated. The flush controls are hidden and battery-po﻿wered and there is a holding tank level indicator for the fresh water and tanks where the wastes are deposited. The carrying handle has been improved and the hold down kit is optional. The weight of the product is 10 pounds and the dimensions are 17.8 x 15.5 x 17.6 inches. The toilet is easy to use and it has a pistol pump that can be easily replaced with a rinse that is two-directional for improved bowl surface coverage. The bowl is extra deep for a better level of comfort and the lids snaps and closes for keeping the vibration while it is moving. The tank waste level is easy to read and the fresh water level indicator. You will not have a hard time cleaning it because the spout is detachable. It is a self-contained toilet that is portable for the camp site. You can also use it for your boat, other recreation or a wide range of RVs. The sturdy seat is full-size and it lushes like a residential toilet with a matte finish that can be concealed. The waste water tank is 5 gallons and the freshwater holding tank is 3 gallons. This is a one-piece product with leak-proof tank that was made with polyethylene of high quality. The product will arrive fully assembled. The dimensions are 16.5 x 13.5 x 12 and the weight is 9.75 pounds. The gasket made of rubber needs to be replaced and that can seal the toilet so it keeps the sewage from having a leak. You can lift this off and then replace it using a new one which arrived with your toilet. The new toilet has to be placed on the ring and then line it up together with the bolt inside the holes towards the bottom. You can change the nuts on the bolts and snugly tighten it. You should not attach this tightly because you might not be able to unscrew them. Sit on top of it try to move it around so you can check if it does not wobble or might come loose. Attach the hose again and make the nuts and bolts tighter. Avoid stripping them too much because it will become too tight. Measure the toilets and the area of the bathroom to make sure that it fits properly. Inspect the water connection because it might need to be cut short so you can use it with the new toilet. Make sure to follow this guide so you can choose the best RV toilet for you. Your family will have the convenience they need when you have a good RV toilet. Proper installation is needed because you don’t want a leaking toilet. If you choose any of the products mentioned above, you will not be disappointed because they are all good. You should also take note of the additional tips because they are necessary for installing a new toilet. You don’t have to be an expert in RV toilets because this guide is all you need to have the best RV toilet and if you have a child with you, make sure that you take them into consideration.